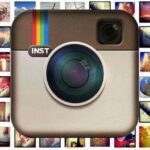 Since its inception in October 2010, Instagram has become the premier photo-sharing program on the market, creating an enormous social networking platform that allows its 100 million users to take photographs, apply a digital filter to it and then share it with other users, be it through Instagram itself or other social networks such as Twitter and Facebook. The fact that Facebook offered to purchase the company for $1 billion in cash and stock after just 18 months of its program going live speaks for itself (with just 13 employees at the time, one can only imagine the staff party that Instagram had that Christmas). Instagram’s success lies in its simplicity, as well as the impressive filters that users can apply to their photographs; in just a matter of seconds, one can make a seemingly prosaic photograph appear illuminating and a good snap, well, outstanding. Whenever a giant emerges, there’s always one savvy entrepreneur who is quick to stand on its shoulders to get an even better view; enter, Inkifi. 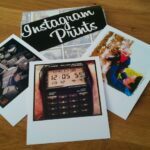 With an intuitive website that offers Instagram lovers the opportunity to print Instagram photos on novel products like mini squares and authentic Polaroid-style prints. 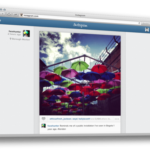 Inkifi is in the vanguard of Instagram-related printing companies. 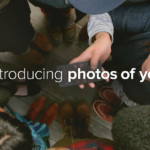 By allowing customers to upload photographs from their Instagram account directly to the Inkifi website, Inkifi give customers the opportunity to apply their photos to any products from their extensive range. For quirky squares are available in packs of 24 or 48, making them ideal for fashioning creative displays; their low cost means that you can order as many as is necessary to get the look that you desire. For those who fancy shelling out a little more for their product, there are options such as the canvas prints that will exhibit your photo in the highest quality; the range also includes more traditional products such as greeting cards and framed prints, which are perfect for gifts for friends and family.